Primary stroke centers are hospitals which have been certified by the Joint Commission as centers that comply with the latest hospital guidelines for the treatment of stroke. In some states, primary stroke centers can become certified through other agencies outside of the Joint Commission. For instance, some states offer certification through the State Department of Health (DOH). For this reason, if a hospital is not listed on the Joint Commission's updated list of primary stroke centers, accreditation may be through the State Department of Health. Some of the criteria include diagnostic facilities, advanced imaging technology, accessibility to the most advanced stroke treatment, ability to administer IV TPA or intrarterial thrombolysis. Here a list of Joint Commission-stroke certified hospitals. As of January January 16, 2017 this list includes a total of 1248 health care systems around the United States. Saint Elizabeth Medical Center, Inc.
Harrison County Hospital Association, Inc.
Mercy Hospital Oklahoma City, Inc.
Novant Health Forsyth Med Ctr dba for Forsyth Memorial Hosp. Shands Teaching Hospitals & Clinics, Inc.
Corona Regional Medical Center, Inc.
Fountain Valley Regional Hospital and Medical Center, Inc.
Hospital Development of West Phoenix, Inc.
SCL Health Front Range, Inc.
St. Vincent's Southside-St. Vincent's HealthCare, Inc.
Vanguard Health Systems of Illinois, Inc.
Catholic Health Initiatives - Iowa Corp.
Emory Saint Joseph's Hospital of Atlanta, Inc.
Mount Sinai Medical Center of Florida Inc.
Leesburg Regional Medical Center, Inc.
St. Vincent Hospital and Health Care Services, Inc.
Indiana University Health West Hospital, Inc. Rush Oak Park Hospital, Inc.
St. Joseph Hospital & Health Center, Inc.
Memorial Hospital of South Bend, Inc.
Hutchinson Regional Medical Center, Inc.
St. Elizabeth Medical Center, Inc.
Saint Luke's South Hospital, Inc.
Medstar Good Samaritan Hospital of Maryland, Inc.
Lakeland Hospitals at Niles and St.
W.A. Foote Memorial Hospital, Inc. The Carbon Schuylkill Community Hospital, Inc.
St. Ann's Hospital of Columbus, Inc.
Bon Secours St. Francis Xavier Hospital, Inc.
Kent County Memorial Hospital, Inc.
Columbia Valley Healthcare System, L.P.
Coastal Carolina Medical Center Inc.
Lake Pointe Operating Company, LLC. Wheaton Franciscan Healthcare-All Saints, Inc.
Aurora Health Care North, Inc.
Columbia St. Mary's Hospital Ozaukee, Inc.
Wheaton Franciscan Healthcare - St. Francis, Inc.
Mayo Clinic Health System - Franciscan Medical Center, Inc.
Aurora Health Care Southern Lakes Inc.
Aurora Health Care Southern Lakes , Inc.
A stroke is known to be one of the most challenging medical emergencies. Advances in stroke care have led to substantially better outcomes than in the past. 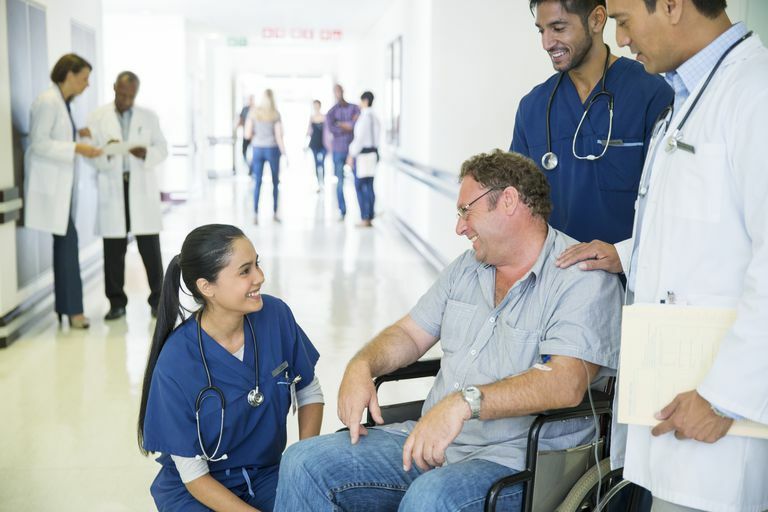 Your stroke care team includes specialized doctors, nurses and therapists, as well as emergency professionals who can quickly decide which hospital is best suited for your immediate care. Stroke patients who are taken to the nearest hospital are able to get with the most updated and advanced care, sometimes with the assistance of telemedicine technology. There are also newer advances in urgent stroke care, such as mobile stroke units, which are currently available a few locations in the United States. Political action is taking place to make emergency stroke care more available for more people.